Eugene, Oregon – Al Kidd, President & CEO of the National Association of Sports Commissions, will be presenting a keynote presentation at the Oregon Sports Summit this Friday, February 2, discussing the future of sports events and tourism. 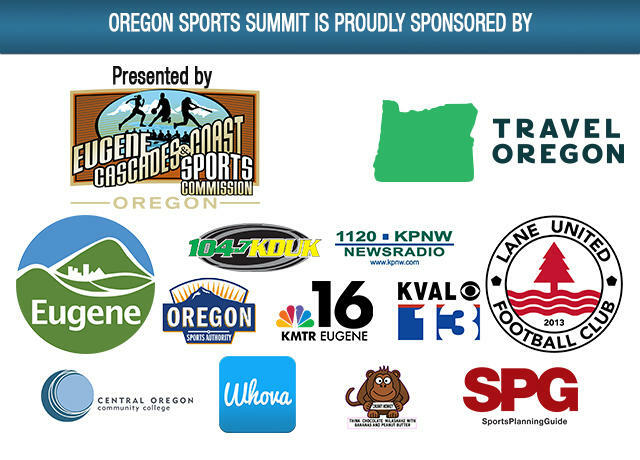 The Eugene, Cascades & Coast Sports Commission is proud to host the 2nd annual Oregon Sports Summit, February 2-3, 2017, at the Valley River Inn in Eugene. The Oregon Sports Summit is a two-day educational conference aimed at sports event planners and stakeholders in the sports community. It will be an opportunity to network and collaborate with local and regional sports events planners, facilities and exhibitors. Registration for the Oregon Sports Summit is open through January 30 with limited day of priced tickets available at the door.